I find it very difficult to believe that we are going to go through a third session without raising revenue in some way. Whether it’s a half-penny or a third-penny, the fact of the matter isn’t so much that we’re going to raise taxes but how we’re going to do it. If you’re going to do it, then the very least you could do is be honest about it. That means our supposed betters in Baton Rouge, the ones who say they know better than we do, should focus just on raising taxes and/or cutting spending where they can. This isn’t a plea to our conservative legislators, mind you. They have been doing the Lord’s work in fighting the utter stupidity of raising taxes for an increasingly growing yet incredibly inefficient government. Instead, this is a plea I know will fall on deaf ears: The moderate Republicans and the Democrats. This is not a session where we should talk about a refundable tax credit. At a time when you say we are somewhere in the neighborhood of $500 million in the hole (one side says its in the 400s and the other says its in the 600s so I’m just gonna average it out here), it makes no sense whatsoever to offer that amount as a tax break to anyone. This session is supposed to be a time of negotiating, and there seems to be very little of that… and that’s not on the conservatives. 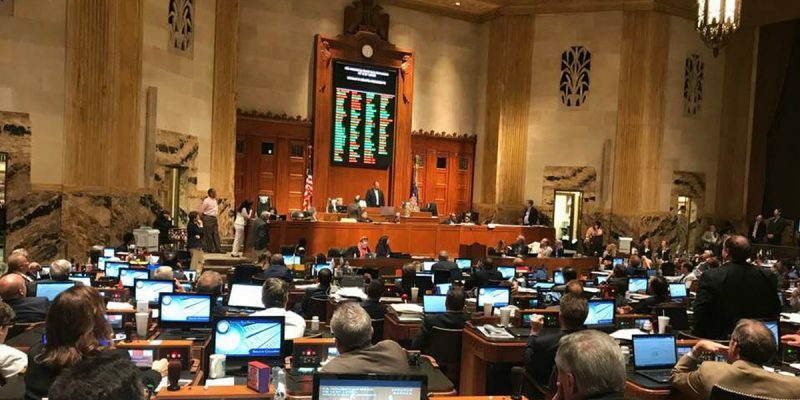 The Legislative Black Caucus blew up the first special session over a sales tax increase with no negotiation, and that was after Governor John Bel Edwards promised House Speaker Taylor Barras they’d be on board. Barras, a conservative, was willing to compromise on a sales tax. The LBC wasn’t. The Democrats and the moderate Republicans refused to entertain the notion of a one-third cent extension of the expiring sales tax, which anti-tax conservatives offered as a compromise – meet us in the middle with some cuts, and we’ll give you some revenue. They were willing to compromise. The Democrats and the moderate Republicans weren’t. I mentioned this yesterday: It wasn’t a static minority of conservative Republicans who blew up the second special session. It was a constantly-shifting group of faces that blew it up. Time and again, we saw some smattering of support from conservatives on raising the tax revenue and John Bel Edwards, the Democrats, and the Julie Stokes Republicans refused to entertain anything less than what they said would fully fund their bloated, wasteful government. There should be no bill before the legislature in the upcoming third session, which will close at the end of the month, asking for a tax credit. There should be no bill that demands multiple things be considered at once. There should be clean bills only. A bill that raises “x” amount of money and a bill that offers cuts to places that could use them. Doing anything other than that ensures the third session fails… which, admittedly, is probably what most every lawmaker wants so they have something to campaign on next year. But, this isn’t something to campaign over. The state, much as I hate to admit it, actually needs a functioning government. Or, in Louisiana’s case, as close to it as we can get.